Metal fabricators turn unformed metal into a functional form, whether it’s flat sheets or intricate fence work. 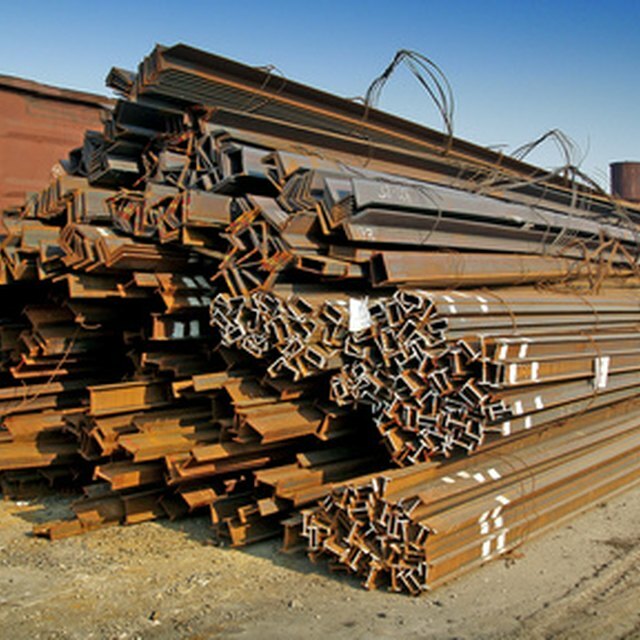 While the raw materials for metal fabrication sets a cost basis on the process, the labor cost involved in processing a ton of metal is an important consideration in deciding upon a sales cost for the fabricated material. Determining the labor cost is a straightforward process, so long as you have access to company pay records and the production speed of the fabrication process. Examine the production process to determine which employees during a production day are directly involved in fabricating the metal. These should include only line workers to determine the direct labor costs as the support staff, individuals like janitors or accountants, are considered under indirect labor whose costs remain the same whether you’re producing the metal or not. As such, indirect labor is considered overhead and is not included in a cost analysis for production labor. Compute your total cost of direct labor for an hour’s production. Use the total yearly pay, plus payroll taxes and benefits paid on behalf of the worker, divided by the total hours worked yearly after subtracting days off for sick leave or vacation time. Add together the hourly cost of each employee on the production line. Time how long it takes to fabricate a ton of metal on the production line in hours. Multiply the total cost of direct labor for an hour’s production by the number of hours required to take a ton of metal through the fabrication process. The sum is the labor costs for metal fabrication based on a ton of metal. Scale the labor costs as needed to help you determine the costs for larger or smaller orders, for example if you have an order needing only half of a ton of metal, divide the labor costs for a ton by two, or if you need to produce five tons worth, multiple the labor rates by five. Use the same calculating process for indirect labor, only instead of line workers, use the hourly rates for everyone else in the business from the CEO to the sales staff. Cost Owl; How Much Does Metal Fabrication Cost?